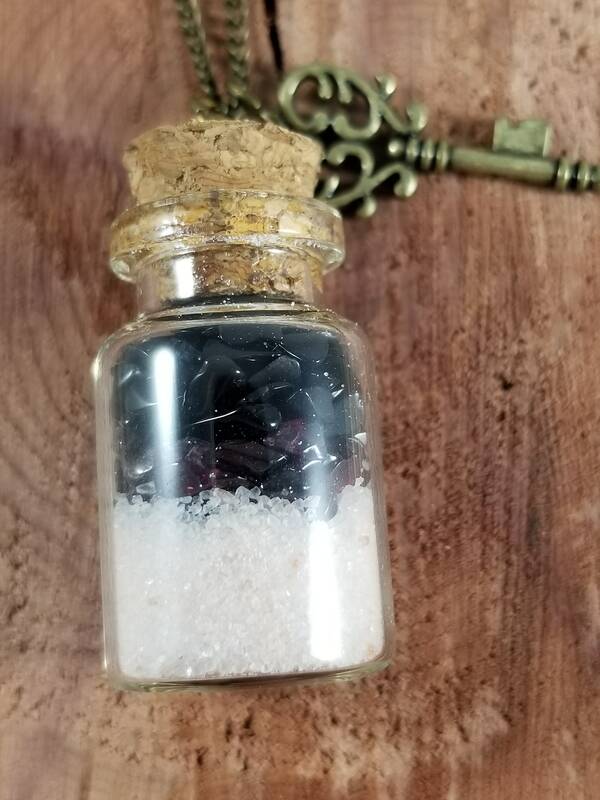 This vial was Handcrafted by me and it contains Garnet Chips, Onyx Chips, and Pink Himalayan Salt. 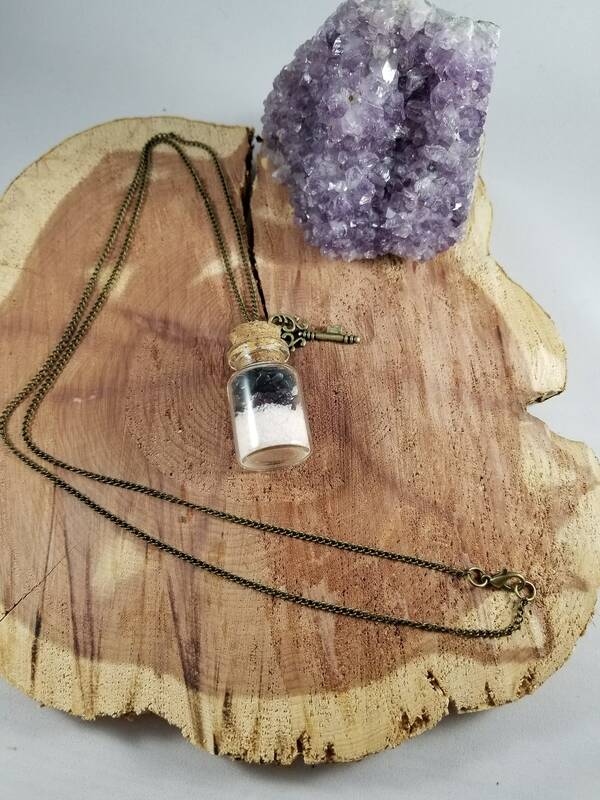 The vial comes on a 24" Antiqued Gold Chain w/ a Skeleton Key Charm. 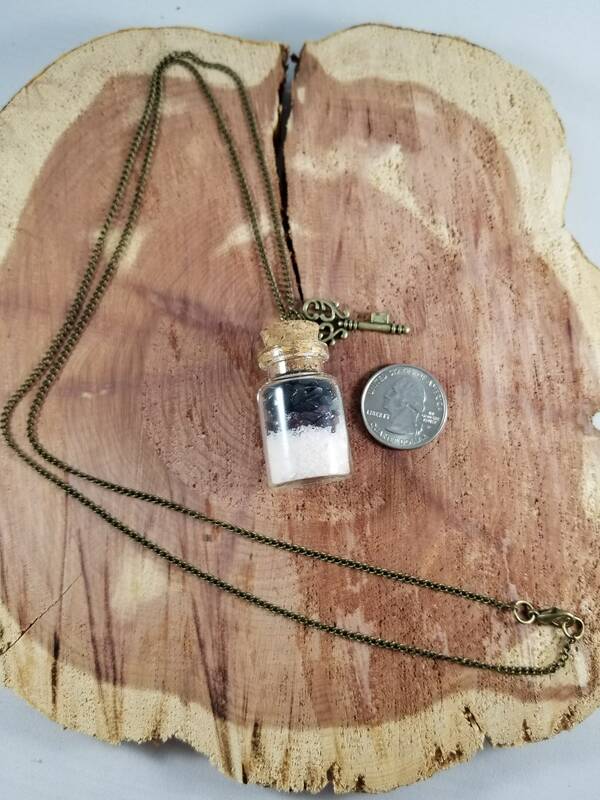 The necklace is perfect. Thank you so much for the extras, they are greatly appreciated.